Researchers from North Carolina State University are rolling out a new manufacturing process and chip design for silicon carbide (SiC) power devices, which can be used to more efficiently regulate power in technologies that use electronics. The process – called PRESiCE – was developed with support from the PowerAmerica Institute funded by the Department of Energy to make it easier for companies to enter the SiC marketplace and develop new products. "PRESiCE will allow more companies to get into the SiC market, because they won't have to initially develop their own design and manufacturing process for power devices – an expensive, time-consuming engineering effort," says Jay Baliga, Distinguished University Professor of Electrical and Computer Engineering at NC State and lead author of a paper on PRESiCE that will be presented later this month. "The companies can instead use the PRESiCE technology to develop their own products. That's good for the companies, good for consumers, and good for U.S. manufacturing." The NC State researchers developed PRESiCE to address this bottleneck, with the goal of lowering the barrier of entry to the field for companies and increasing innovation. The PRESiCE team worked with a Texas-based foundry called X-Fab to implement the manufacturing process and have now qualified it – showing that it has the high yield and tight statistical distribution of electrical properties for SiC power devices necessary to make them attractive to industry. "If more companies get involved in manufacturing SiC power devices, it will increase the volume of production at the foundry, significantly driving down costs," Baliga says. 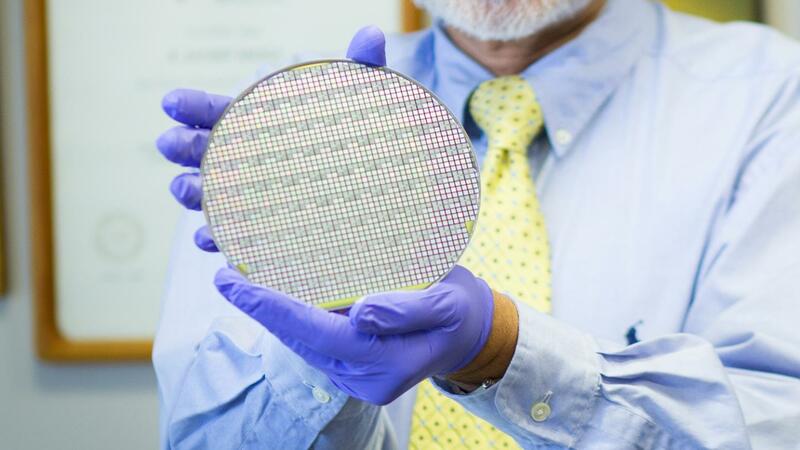 "Our goal is to get it down to 1.5 times the cost of silicon devices," Baliga says. "Hopefully that will begin the 'virtuous cycle': lower cost will lead to higher use; higher use leads to greater production volume; greater production volume further reduces cost, and so on. And consumers are getting a better, more energy-efficient product." The researchers have already licensed the PRESiCE process and chip design to one company, and are in talks with several others. "I conceived the development of wide bandgap semiconductor (SiC) power devices in 1979 and have been promoting the technology for more than three decades," Baliga says. "Now, I feel privileged to have created PRESiCE as the nation's technology for manufacturing SiC power devices to generate high-paying jobs in the U.S. We're optimistic that our technology can expedite the commercialization of SiC devices and contribute to a competitive manufacturing sector here in the U.S.," Baliga says. The paper, "PRESiCE: PRocess Engineered for manufacturing SiC Electronic-devices," will be presented at the International Conference on Silicon Carbide and Related Materials, being held Sept. 17-22 in Washington, D.C. The paper is co-authored by W. Sung, now at State University of New York Polytechnic Institute; K. Han and J. Harmon, who are Ph.D. students at NC State; and A. Tucker and S. Syed, who are undergraduates at NC State.